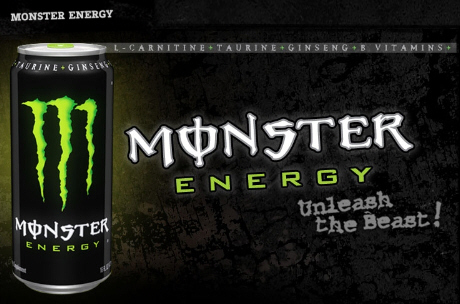 Forum Home > Our Reality > Monster Energy Drink: Secretly Promoting 666- The Mark of the Beast? Symbolism is the language of the Mysteries; in fact it is the language not only of mysticism and philosophy but of all Nature, for every law and power active in universal procedure is manifested to the limited sense perceptions of man through the medium of symbol. Every form existing in the diversified sphere of being is symbolic of the divine activity by which it is produced. By symbols men have ever sought to communicate to each other those thoughts which transcend the limitations of language. Rejecting man-conceived dialects as inadequate and unworthy to perpetuatIn a single figure a symbol may both reveal and conceal, for to the wise the subject of the symbol is obvious, while to the ignorant the figure remains inscrutable. Hence, he who seeks to unveil the secret doctrine of antiquity must search for that doctrine not upon the open pages of books which might fall into the hands of the unworthy but in the place where it was originally concealed. – Manly P. Hall, The Secret Teachings of All Ages, p. 38e divine ideas, the Mysteries thus chose symbolism as a far more ingenious and ideal method of preserving their transcendental knowledge. Monster energy drink has become one of the top energy drink brands in the world with its promotion of a super shot of enegry for high adrenaline sports and activities. But is this drink maker secretly promoting the Mark of the Beast of the Antichrist in its logo? We will explore. Notice that it says “unleash the Beast” which is precisely what the Bible describes in the end-times when the ‘Beast spirit’ that indwells the Antichrist will be released, enter the Antichrist and start a reign of terror, murder and destruction the world has never witnessed in its history. For more information on the Mark of the Beast, the number of the Beast and its promotion in pop culture today, see our article “666 – The Mark of The Beast – Humanity’s Ultimate Choice“. If Monster Energy is indeed is doing this intentionally, it would just be part of a greater move to subtly prepare society for the coming of the false Christ. Do not be deceived. I don’t drink this stuff but I am sure that a some of you do and that’s why I am sharing this article with you. I am not religious and I don’t take the Bible literally but I think that this was something worth sharing here. What do you think? I used to drink that but I can't hold down any energy drink now - not even the RockStar stuff I used to love. That Monster stuff is addictive and yeah, it's evil haha. 'Soft' drinks are not good for us but these energy drinks are on another level... However, it has been revealed to me that for some who 'appear' human - these drinks were in essence made for 'them' but for humans in general - not good. I never cared for energy drinks and now, I really know why! Posts: 1714 It's full of sugar and it's very addictive. Funny enough, until I stopped eating me meat I never noticed the rotten aftertaste to it. Tastes like something has died within it. Eww. The aftertaste is vile and is in every energy drink. Indeed. 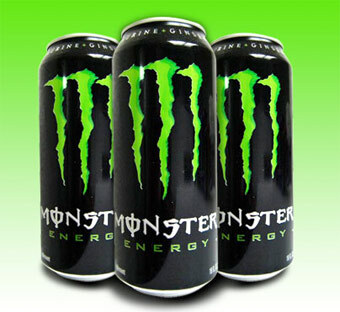 I' a recovering Monster addict. It tastes terrible but gives me that boost I normally don't get anymore, and I turned to these drinks back when I worked 60+ hours week. I've slipped about a week ago and had one, but they feel emotionally and mentally draining, as of late so it's easier to be like "Nah, I'll skip buying one." I'm a recovering RockStar and Relentless addict Though to be honest, I still drink Relentless every now and again as that tastes so nice and doesn't have the aftertaste of Monster or RockStar (which have both got equal death rates). 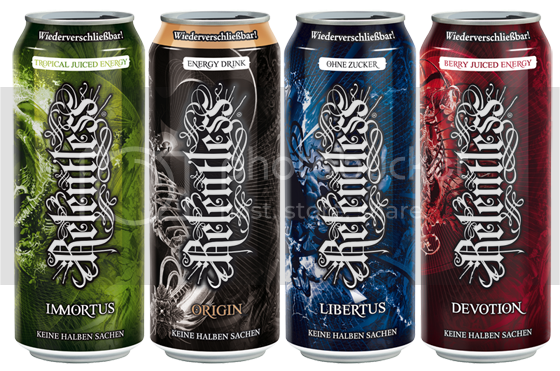 Interesting note : Have you noticed the name of the drinks Relentless have? All energy drinks are lethal IMO. And Coke-Cola have some explaining to do as they took the Green Tea and Lemon Tea ones off the shelves in Wales and I really liked that. Haha. But yeah, I don't think Monster or any other energy drinks are that good. You can get more energy via healthy living and meditation. These just make people lazy. First and foremost, to me all numbers are neutral in nature and have distinct energies or symbolisms that have the potential to mean something relatively negative or positive depending on the person, the situation, and the intent in which the number and its energy is employed or invoked. I also know that humans attach meanings and symbolism to something based on their culture, experiences, awareness etc. So we are given many different persperctives on phenomenon. That being said, I don't see any number as ominous...especially 666 and the number 13. To me believing otherwise led to a lot of fear of these numbers when I saw them, now that I see them in a new light I feel a lot better and more liberated. I'm assuming the intent that these drinks were made in were probably not necessarily the best for us. When I drink them, and I rarely if ever do, they do absolutely nothing for me. I also found monster to leave a skim (at least that's what it felt like) on my tongue. Wasn't crazy about the taste either lol. But again I have only drank energy drinks twice or more in my life. One monster August of 2013 and several when I was 8 or 9 during the course of a month (store brand/tasted more like flavored sparkling water). Again, did nothing for me. This article is very interesting and can spark a lot of discussion about what's really going on with the food we consume. I read it before somewhereb but didn't think much of it because I don't drink these things. Thanks for sharing. 'Soft' drinks are not good for us but these energy drinks are on another level... However, it has been revealed to me that for some who 'appear' human - these drinks were n essence made for 'them' but for humans in general - not good. I never cared for energy drinks and now, I really know why! OOh this sounds interesting, can you elaborate more on it for me? Also yeah energy drinks can be addicting I drink em like everyother day. I used to drink monstera lot when I was younger. I loved the taste of it and of course I loved the sugar from it as well. Everytime I try to drink a monster now I feel like it doesnt tast the same as it once did. It taste sort of gross to me and I thought they changed something in the ingredients. Everytime I buy an energy drink I never finish the whole thing cause its too strong for me to down the whole thing. Though, if its a small redbull can I'd have no problem drinking those, it helps get sugar in me fast in the mornings to wake me up faster. Usually if I dont have enough money to buy food when im not at home ( which is common at the moment) I go and buy an energy drink since theyre cheaper than a meal were im at and the sugar usually kills down my hunger. I get hungry really fast so even with a hefty breakfasst I get hungry and eat what i bring from home, but usually doesnt satisfy me for long. Another revelation has come in about 'soft' drinks... 'Soft' is code for slowly poisoning to kill... We wonder why America is filled with so many sick and battered people? Consuming too much of these things is a major culprit! Yes, you kind of wonder why their called "soft drinks" it never makes sense and it doesnt go with what they are(or atleast thats what I felt) its like calling a knife a "dense stick" doesnt match the use of relation to the function of the object. But with energy drinks what are they intentionally made for? When you mean people that appear human do these drinks are a necessity for them? Do they need it it cause they have different metabolic processes than humns? i.e. clones are something of the sort? And some foods are cursed rather then blessed in america before shipping to the stores whit satanic rituals. After letting that poison go , I felt lots better and had stronger energy. We are what we eat and drink! OOh I remember tab, well when it was in an energy drink form, but I remember when people in my family said they had it when it was in soda form. I feel that blessing foods do change something about it before you ingest it. I feel there is something more to it especially when the person that makes the food does it with good passion. I tasted the drink and it was horrible. Reading this is putting a different kind of nasty taste in my mouth! Ugh! To anyone who drinks anything like this I'd highly reccomend stopping immediatly. I've heard countless stories of individuals who will pass out and go to the emergency room after only a few of these. I heard a story of some teenagers who drank maybe 3 or 4 of them and all had seizures and passed out. Granted that is quite a bit but still that's even worse then most alcoholic drinks. Most people I've known might act a little crazy after a few beers or glasses of wine but I've never once seen somewhere go to an emergency room from 3 or 4 glasses of wine or beer. To me this is obviously stating that these drinks are as in matter of fact WORSE then alcoholic drinks generally speaking. Yeah, you make a great point about this you could have like 4 to 5 bottles of beer and not suffer the adverse reactions to compared to drinking 4 to 5 energy drinks. And I completely agree that they are in a sense worse than alcoholic beverages.